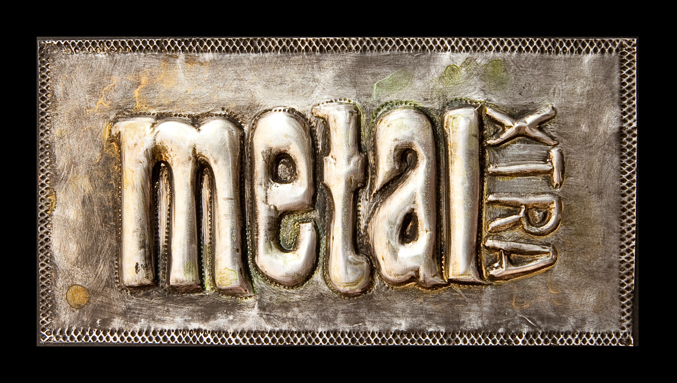 Designed to help you add dimension to metal, as in the example above, but using a stamped image to help. Stamp the image in Archival ink onto a sheet of metal, outline with a teflon tipped poity tool, flip over, and on a soft foam mat, use a paper stump to gradually stretch the metal. You will need to flip back over, embossed side up, and on an acrylic mat flatten the surrounding areas, then fill the embossed section with a polyfiller or other dry hard compound to support the embossed design. Distress with paint for a vintage effect.